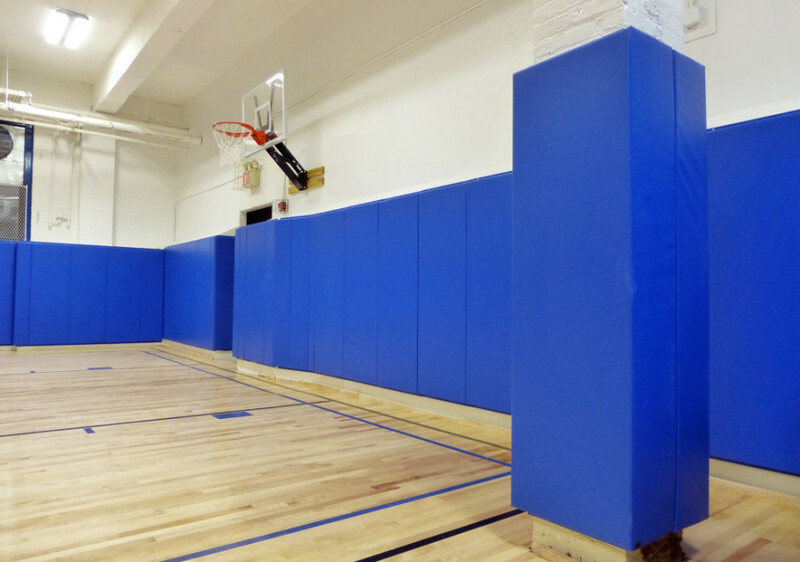 Mavi offers a range of custom projects, from custom basketball stadium wall padding to interior wall padding with cutouts for door handles, windows, outlets, and more. 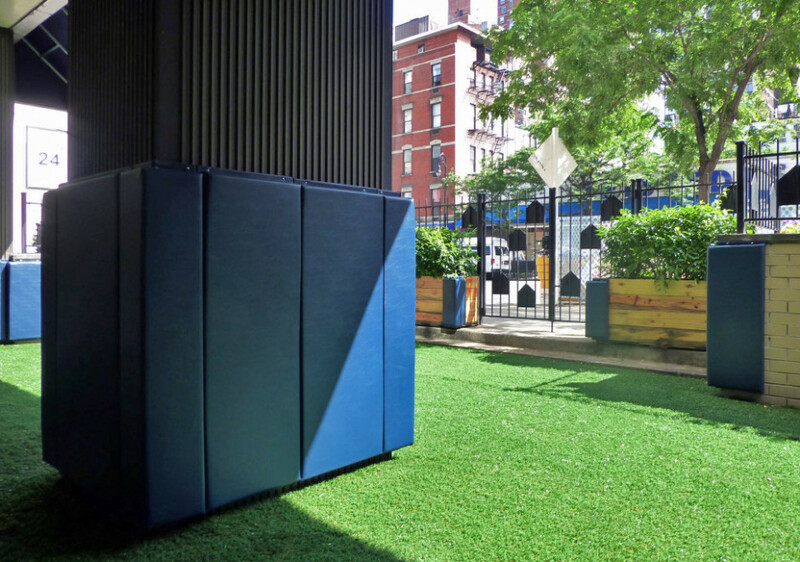 Whether you need to replace old padding in your facility or add new protection to walls, columns, beams, and other structures we can work with you to create a padding solution to fit your budget and your safety needs. 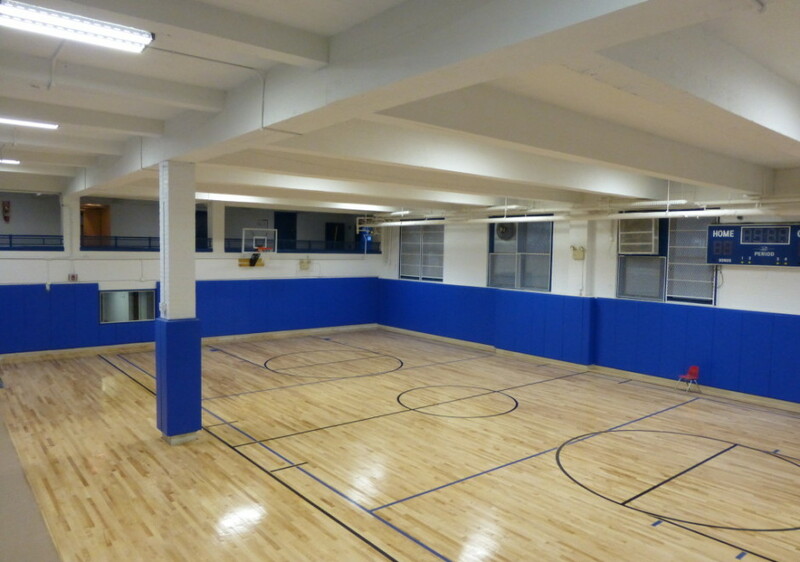 Polyurethane Foam provides the ultimate protection against minor impact or contact with walls, beams, or columns. 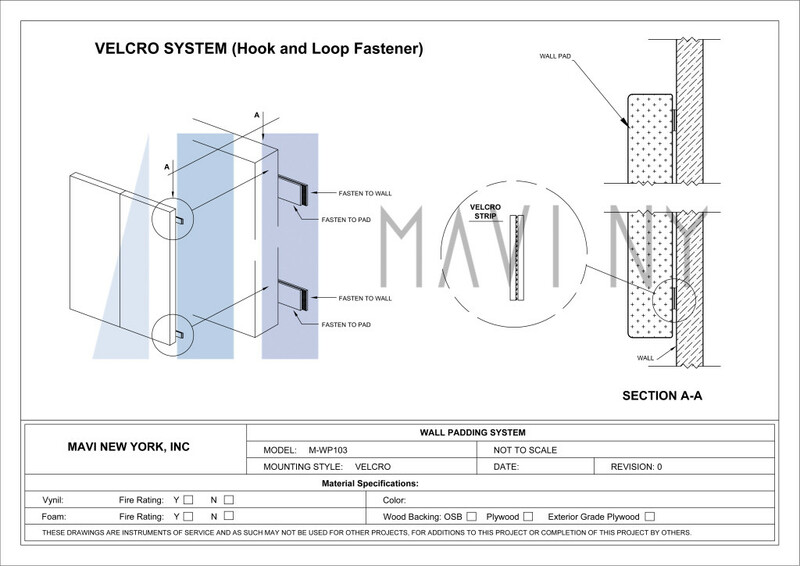 Standard size pads are 6′ x 2′ with 1″ nailing margin on top and bottom of each panel, however every other sizes are available depending on the project’s needs. Almost every padding requires customization such as cut outs for the power outlets, fire extinguishers etc. to insure proper fit. Pads are constructed using 2″ thick 3.5-lbs. density polyurethane foam cemented to 7/16″ oriented strand board. Cover material is 14-ounce polyester laminated vinyl stapled to backing every 2 inches. Vinyl available in 15 standard colors; white, yellow, orange, red, kelly green, forest green, royal blue, marine blue, navy blue, gray, black, maroon, beige, teal and purple. Customization options including adding school logos, letters and graphics are available upon request. 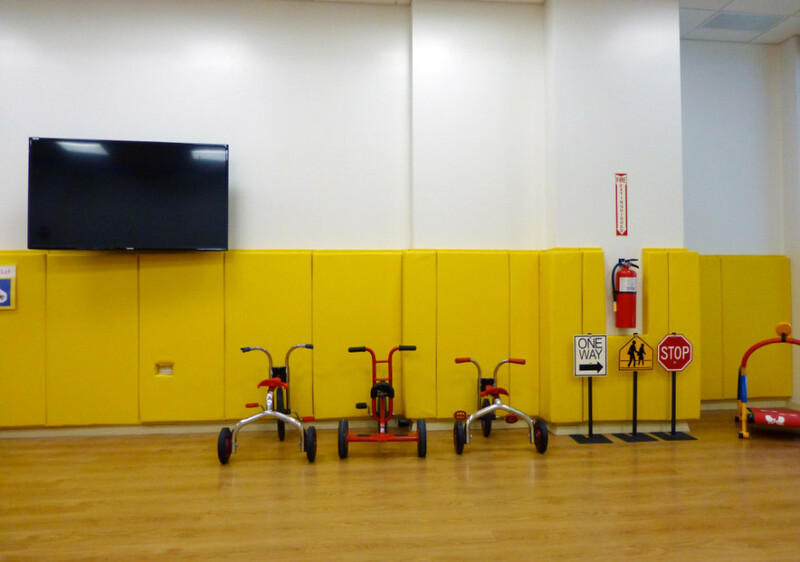 Wall padding is a must behind for basketball backstops, gymnasiums, athletic facilities and a variety of other applications such as healthcare centers, correctional facilities and educational institutions. 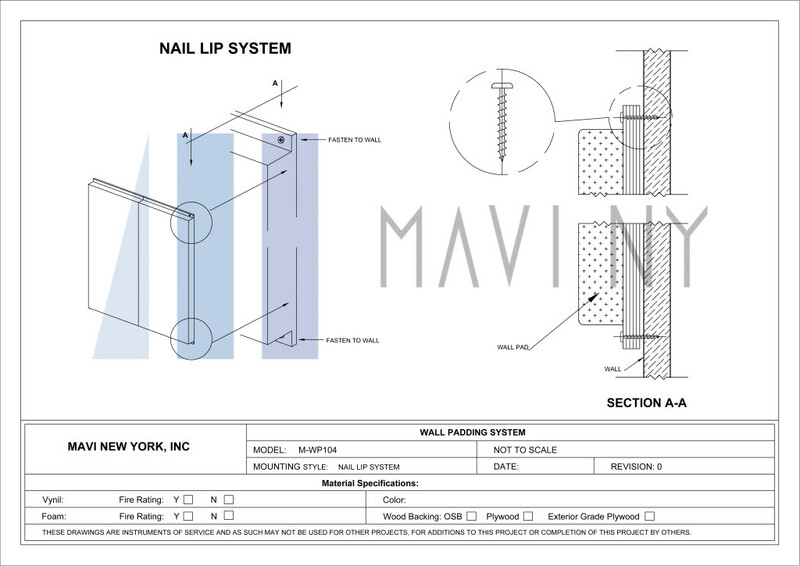 Nail Lip Standard Attachment: The standard method of installing padding is to provide no hardware and simply nail the pad to the wall using a 1” lip at the top and bottom of the padding. This method is perfect choice for permanently mounted padding. 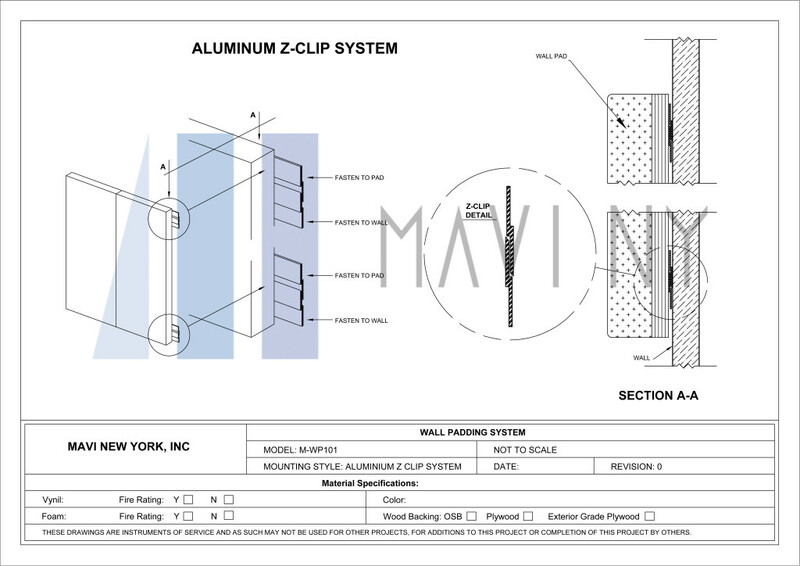 Z-Clip Mounting System: The Z-Clip is mounted to the back of the pad allowing the pads to be hung easily to the wall and provide an ‘invisible’ installation. The pads have no lip and the mounting hardware is installed entirely behind the pad, allowing for clean lines and adjustable installation. 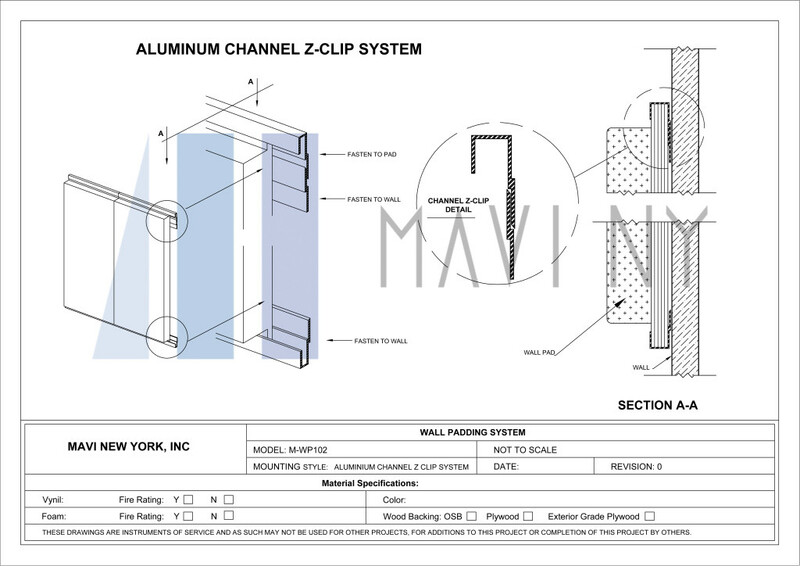 Aluminum Channel Z-Clip System: Channel system provides the pads with a clean, finished look by utilizing an extruded aluminum channel at top and bottom of pad for attachment that is visible from the outside. It is ideal for those environments that require removal of padding on a very infrequent basis. Velcro System: This attachment method is concealed and allows for frequent removal of padding. 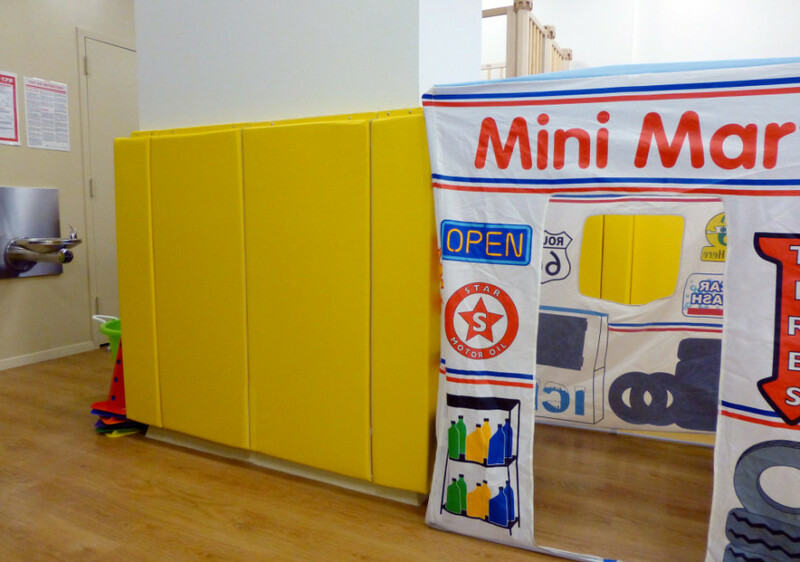 Ideal for stage padding and any other short-term wall padding applications. System comes complete with three aluminum extruded channels and Velcro hook for attachment to wall. 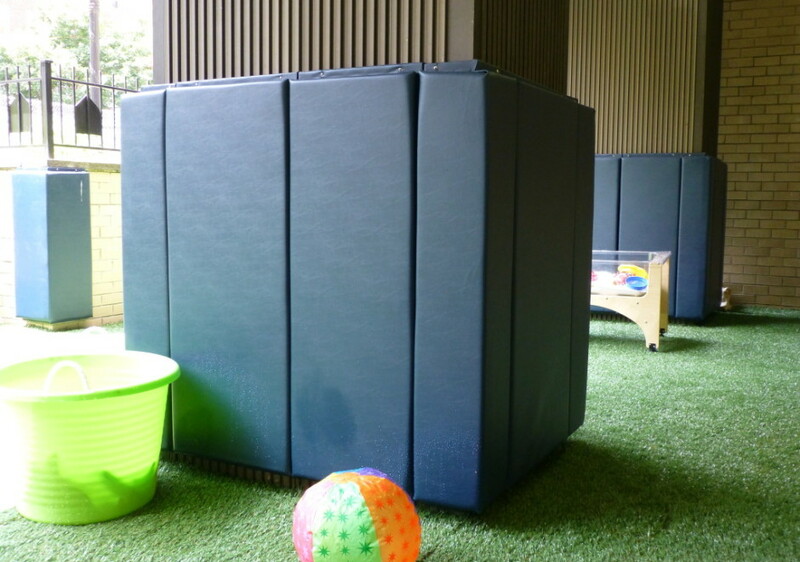 Velcro system is a lip-less alternative to create a clean and secure attachment.